Product Description: A pigmented 100% acrylic latex containing a fungicidal agent to inhibit mildew growth on the surface of the coating. 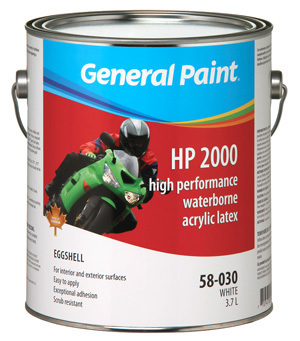 Intended Uses: A high performance int/ext eggshell latex finish. Suitable for use on new drywall, primed surfaces, institutional areas, moisture and condensation areas and where a very durable finish is required.